After having such a successful and great time at our 1st Crafty-Ones Sunflower Field Paint Class in November, we were itching to get the second class scheduled. 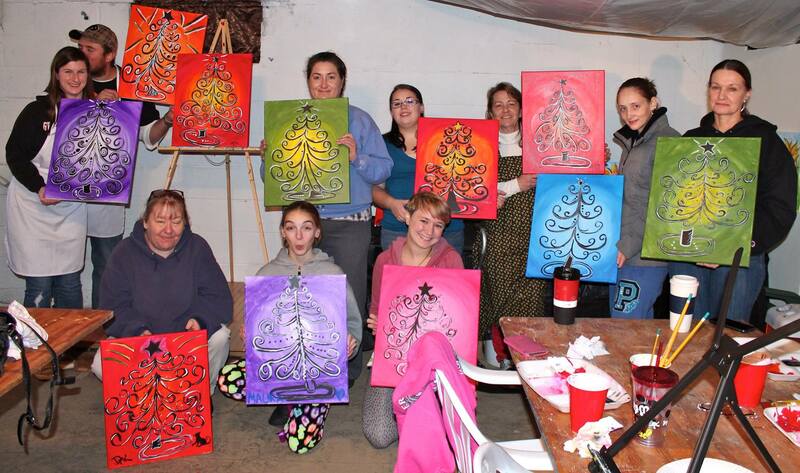 On December 13 2014 we held our 2nd Crafty-Ones Paint Class! The design we chose was an artistic take on a Christmas Tree! It was an excellent time and many people attended! These paintings were a creative gift to many friends! Everyone had a different take on the Christmas Tree and it was such a blast!